Many approaches for consistency restoration in database systems have to deal with the problem of an exponential blowup in the number of possible repairs. For this reason, recent approaches advocate more flexible and fine grained policies based on the reasoner’s preference. In this paper we take a further step towards more personalized inconsistency management by incorporating ideas from context-aware systems. 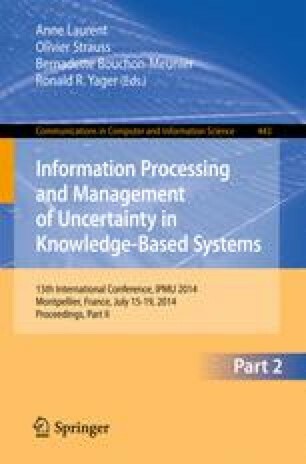 The outcome is a general distance-based approach to inconsistency maintenance in database systems, controlled by context-aware considerations.